These things really piss me off. 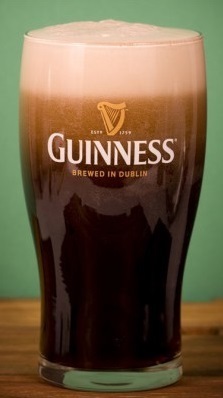 Drinking establishments are actually misleading the Guinness-drinking public by serving below-par Guinness; they’re not selling Guinness, they’re selling shite. It has now got to the point that if I know an establishment sells brutal pints, I just have a beer instead! I’m fed up with this & I’ve decided to take a stand with this blog. From now on I’m going to rate an establishments pintability . If you’re going to serve Guinness, you deserve to be judged on it by someone who really cares. Creamy pint. It sounds so tasty. For me, this is the crux. The lack of a creamy head is an immediate turn-off. It’s such a giveaway when you see a fluffy bubble-head, you know the pint is gonna be sub-par. After an initial shake you can tell if you’re in dodgy territory or not. The creaminess is key for me because with a good pour the head retention will be perfect all the way to the end of the pint & you get to have that lovely creamy finish for your last gulp. Mmmmmm. Now, don’t be fooled, the head needs to be the right size. Non-existant is not acceptable but, also, a giant head is an awful sign. A giant collar is a clear sign that your pint is gonna be crap; the taste is going to be off. The thing is, so many places get it right, so why can’t everyone? Here’s an example of fail. At this point I would be praying the head eases off but you just know that when this settles about 25% of the drink will be head which is a really bad portent as far as the taste is concerned. So, the key question is, how do you control what gets poured? Well, for a good while there we really didn’t know. We just thought some places serve shite & some places serve satin-excellence & that was just the way it went. Obviously, the draft system needs to be well maintained & the Black Stuff needs to be stored at the right temperature but these are basics, that are expected for any draft beer, so what is it that makes Guinness so different from one establishment to the next? There is so much said about the pour; “this lad pours like each one’s his own”, or “that place couldn’t pour milk from a bucket” but I’ve seen bar staff pour pints manys-the-different way & still provide me with the quality I desire so it can’t be the pour that is at issue here (though “The Pour” is a great marketing tool). Beers are pushed from keg to tap usually using a mix of CO2 & N2. As Guinness has a high N2 content (which gives us our adored golden-creamy head) it requires a higher proportion of N2 to push the beer to tap than normal draught beers would. Not being a publican or brewer, I’ll leave the N2/ CO2 ratios to the experts but at the end of the day, if the correct mix is not used, the N2 in the Guinness will leave the solution giving us an absolutely manky pint! If we end up with too much CO2 in the pint we get squinty-wince face that ruins our enjoyment, and the establishment’s reputation. There is more science to it of course, & I can’t & won’t get into it, but, to this Guinnesslover anyway, it seems that if the publican understands their trade they can ensure their patrons are always in G-heaven. So at the end of the day, it all comes down to whether the publican cares for the G- punters or not. This blog aims to show us who makes the effort & who doesn’t. Please note that I don’t own all of the pics/ photos that appear on this blog; some have all been sourced via the interwebs.